Our role is to provide full interior layouts and interior remodeling. Creating a lasting quality that will stand the rigours of life and time. Our work ranges from simple design consultations to full refurbishments for clients, family homes to city apartments. 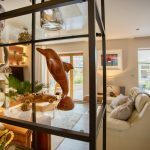 Whilst many of our clients are in Norfolk, Chameleon Interior Design work also in London and are able to undertake projects Nationwide. Feasibility studies including initial site, appraisals of the building and developing the design brief with our clients. We carry out measured site surveys and from this create the designs and spatial planning taking into account the architecture and requirements of the client. Liaison with local authorities, and other planning or building control departments. Should other specialists be required, i.e., structural engineers we work with these to deliver your project. 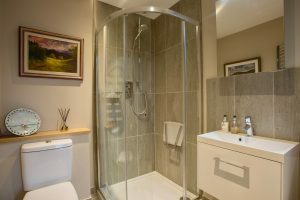 We work on anything from full refurbishments, from single rooms to whole buildings, on existing buildings and new builds. Interior Design Drawings from general arrangements plans, space planning, bathroom, kitchen and bespoke joinery designs, furniture layouts, lighting design and electrical layouts. To complement the drawings we supply presentation boards with samples of materials and finishes. Materials that best fit the need and purpose of the project, anything from lighting to furnishings, window treatments and objets d’art. Detailed quantities required for each project such as flooring, finishes, furniture, fabrics, kitchens, lighting, sanitary ware, joinery and appliances. We are involved in budgeting from an early stage. As part of the design brief we always compare cost against budget to ensure the budget is met. By our extensive knowledge of suppliers from high street to trade only we can deliver your design to meet your budget. Projects are well prepared before going on site with possibilities considered so they are completed on time and within budget. We have established strong links with highly skilled trades people and professionals to ensure the standards you expect. Onsite co-ordination with sub contractors and other consultants. Project co-ordination to include site meetings, procurement and delivery of fixtures and fittings and equipment and management of the installation. Each project will require time depending on the complexity, whether it be a single room to a whole refurbishment of a property. By detailing a program of works we can anticipate when to order materials, fixtures and fittings. We factor in that there can be delays and challenges and give room for these, and work around the problems to deliver your project to time and budget. Our service is flexible and you chose the level of involvement you wish to take and the level of service you want us to provide. This can range from a simple consultation for people who want to do the work themselves to the more detailed and insightful services above.